The K-16/WO is a package that includes the K-16 Paper Shredder with an Optional Internal Auto Oiler for those that prefer an Oiling System. The K-16 is a Level 6 / P-7 DOD Crosscut Paper Shredder and has been evaluated by NSA to meet the requirements of NSA/CSS Specification 02-01 for High Security Crosscut Paper Shredders. The K-16 is designed with a Low Energy system for zero power consumption in the Stand-by mode and it DOES NOT REQUIRE OIL. Also built for high performance, the K-16 is equipped with a 24 Hour Continuous Duty Motor for long shredding operations without the timed cool-down periods typical of most shredders on the market. It is a high volume shredder with an effective throughput of over 34 Reams per Hour. Carbon Hardened Steel Gears and a Heavy Duty Chain make for an All Metal Drive System with no internal nylon or plastic gears. The K-16 also features a full 16-inch entry width and a specially designed cutting head based on Floating Head Technology. Floating Head Cutters are more durable and wear resistant and are also easier to repair in case of accidental damage than most shredders that use solid block cutting heads. 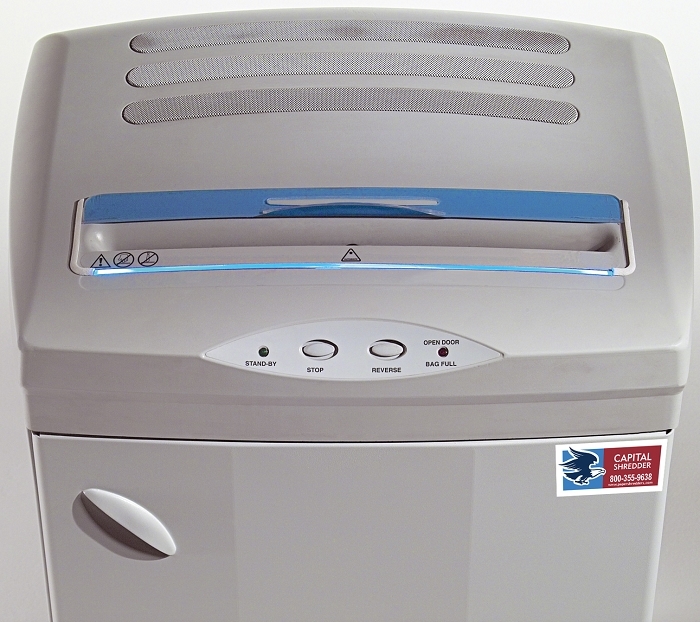 This allows for cutting head repair and the replacement of individual cutters in the event of damage; an option not available on most shredders. Other features include Automatic Start/Stop operation, Auto Reverse Anti-Jam protection, Bag-full and Door Open Safety Indicators. 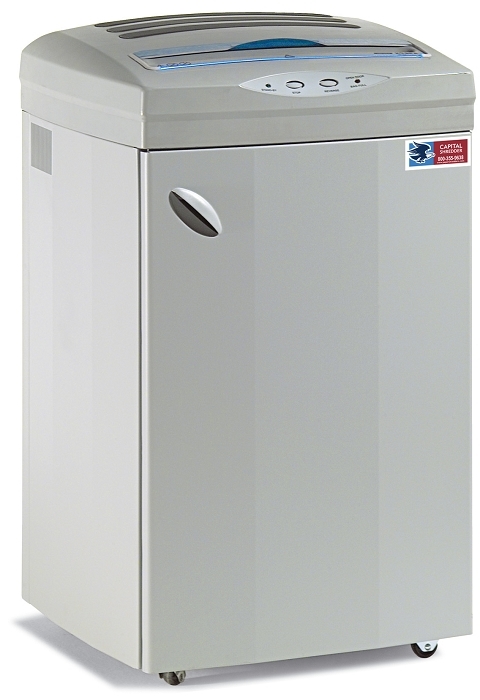 An extra-large 53 Gallon Waste Bin, multiple shock absorbers, a sealed drive transmission and an All Steel Cabinet on castors provide for quiet and trouble-free operation. Trade Agreement Act (TAA) Compliant.